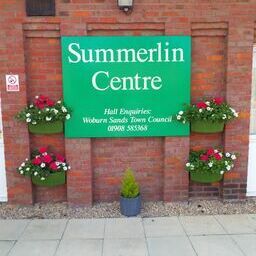 The Summerlin Centre is the largest of the halls to hire in Woburn Sands, located close to the railway station with dedicated car parking. Classes are held most evenings of the week which serve the local community well, for details on these see the Events page. 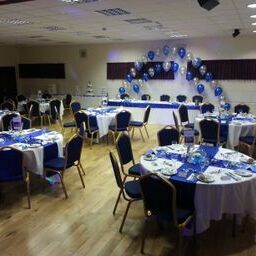 The function hall holds a maximum of 100 people, it is equipped with round tables that seat 8 people and with long tables for buffets or displays. 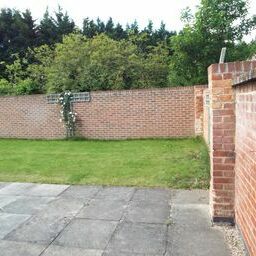 There is access to a small garden area. 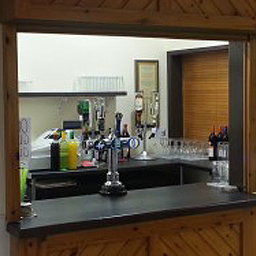 There is a fully fitted kitchen and the hall is licensed, with the option to book a fully staffed bar. There is a PA system with functions to use music from your mobile devices and a projector and screen are available for meetings and presentations. There is also a mobile stage area that can be made available. Please make sure you let us know that you would like to use any of this equipment prior to your booking. The hall also has free wifi. There is parking for 25 vehicles directly outside the Centre. Access to the Centre is wheelchair-friendly. The cost of hiring the hall will depend on your requirements. Prices range from a 2-hour minimum to an all-day rate and will vary according to the type of event. The hall was formerly the Plysu Sports and Social Club but was totally refurbished as part of the Parklands development. It was named The Summerlin Centre in memory of James Summerlin one of the founders of Plysu and opened in 2011. 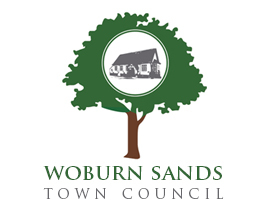 © Woburn Sands Town Council. All Rights Reserved. Design by Vision ICT Ltd.